This book was produced to accompany the 2014 Berlin National Gallery comprehensive retrospective exhibition of Bugatti’s brief but highly productive career. To see more about the exhibition, click here. Rembrandt Bugatti was one of the most remarkable and independently inventive sculptors of the early twentieth century. Although his career was cut short by his tragic suicide at age 31, he produced more than three hundred works, including the small-scale bronze animal sculptures for which he is best known. 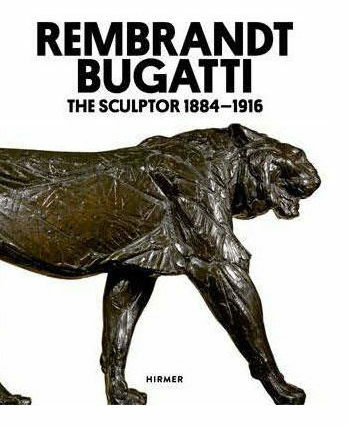 In showing the entire range of Bugatti’s work, this beautifully illustrated book reveals the impressive command the artist had over his sculptural ability at such a young age. Together with his striking tendency toward artistic experimentation, it demonstrates why his work remains well-loved and in the permanent collections of many museums today.